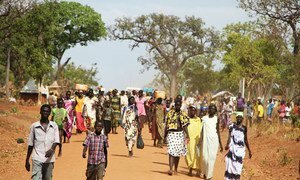 The year 2016 was a challenging one for the international community, with the conflict in Syria worsening despite efforts to end the fighting, escalating violence and insecurity in South Sudan and Yemen, and a five million increase in the number of refugees worldwide. Yet 2016, the hottest year on record, was also marked by critical breakthroughs, such as the historic Paris Agreement on climate change entering into force faster than any other UN treaty, Colombia clinching a historic peace deal to end 50 years of civil conflict, and governments as well as stakeholders from the private sector agreeing on a plan to control carbon dioxide emissions from international aviation. The Sustainable Development Goals (SDGs) also came into force this year, with calls for greater efforts towards their implementation. Also this year, which marks his last at the helm of the United Nations, Secretary-General Ban Ki-moon apologized to the people of Haiti for the world body’s role in failing to properly address the cholera epidemic that has claimed the lives of at least 9,000 Haitians since 2010. In addition, he announced a $400 million two-track plan to stem the outbreak and provide long-term support for those affected. Serious challenges remain on the international community's agenda – especially in Syria, South Sudan and Yemen – with Secretary-General Ban calling for unity and consensus among UN Member States in order to resolve these and other conflicts around the world. Meanwhile, at the United Nations, the former Prime Minister of Portugal and UN High Commissioner for Refugees, António Guterres, was selected as the new UN Secretary-General and pledged to move away from fear and focus on rebuilding trust globally. The “UN Year in Review 2016,” produced by the UN Department of Public Information, takes a look at the milestones and challenges that marked the past 12 months. The year 2015, in which the United Nations celebrated its 70th anniversary, was “pivotal” – in the words of Secretary-General Ban Ki-moon – marked by major achievements, including the adoption of a long-term global sustainable development agenda and crowned by the UN climate conference which committed every nation on Earth to do its part in combatting global warming.